It seems as problems keep cropping up for director-producer Linguswamy. Director/producer Lingusamy's recently faced a lot of problems during the release of Kamal Haasan’s 'Uttama Villain', which is produced by his production house Thirrupathi Brothers and Kamal Haasan. The movie featured Kamal Haasan in the lead role. 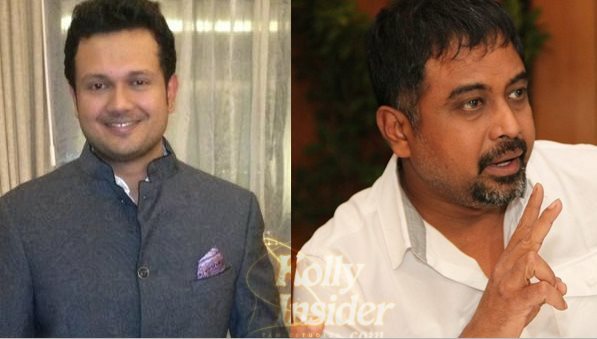 Varun Manian, who is a well known producer in the Tamil cinema industry, was recently in the headlines for the breakup with his fiance Trisha, after three months of engagement, Varun now took twitter to attack 'Thiruppathi Brothers' Lingusamy. Now, the grapevine has it that after bagging Vijay Vasanth’s upcoming film Jigina, the director Lingusamy has upset filmmaker Varun Manian. 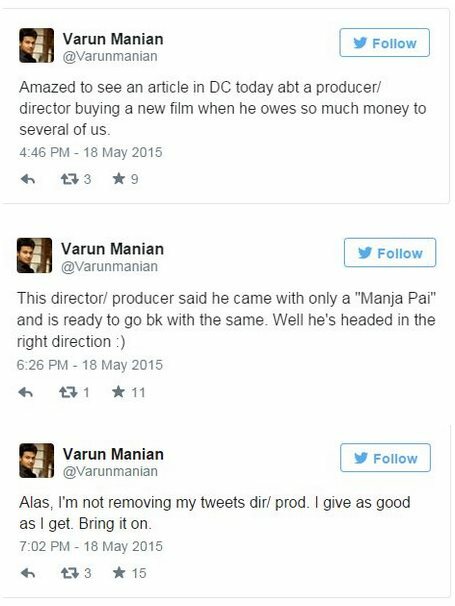 Manian tweeted, "Amazed to see an article in DC today abt a producer/ director buying a new film when he owes so much money to several of us. This director/ producer said he came with only a "Manja Pai" and is ready to go bk with the same. Well he's headed in the right direction." "Alas, I'm not removing my tweets dir/ prod. I give as good as I get. Bring it on", he added. It is clear that Manian is upset with director. And he is not hiding his emotions. It is to note that their recent film 'Uttama Villan' has faced last minute hurdle in the release due to the financial problems. Varun has indirectly exhibited that he has to owe him huge money. But he is going on buying films.